DCI.org's Christina Mavroudis-Dempsey was on hand at the Precision West event on June 30 in Pleasant Hill, Calif., to capture these interviews. 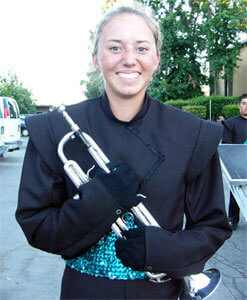 Nicole Wedberg is a 17-year-old first-year member of Pacific Crest. Wedberg discusses the Precision West performance and the corps' 2006 program "From the City of Angels." 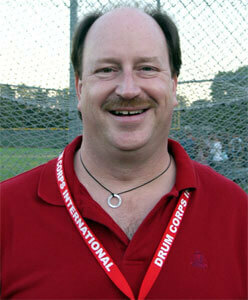 Key Poulan, Santa Clara Vanguard's brass composer, talks about his nerves writing original music for Vanguard's 2006 production "Moto Perpetuo." Fever is fielding a corps this year that is a little smaller than in year's past. 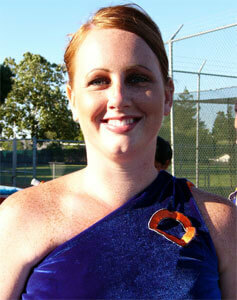 Guard member Lynette Smith, a 20-year-old native of Modesto, Calif., expresses her thoughts on this year's Fever corps. Desiree Mason, an 18-year-old fifth-year member of Esperanza, talks about Esperanza's all-new look for the 2006 season.